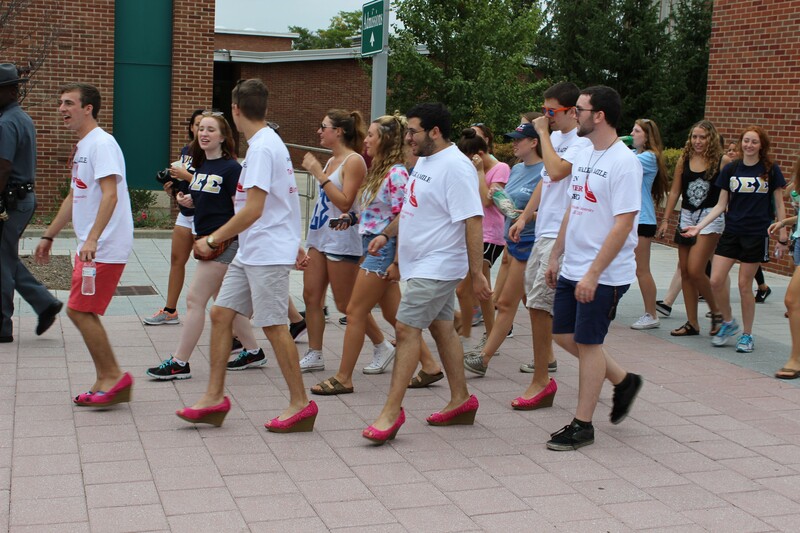 On September 28th, 2016, along with many other organizations from the University community, the brothers of TAU will walk in bright pink heels around the Binghamton campus to raise awareness about these important issues, which are widespread on college campuses across the country. 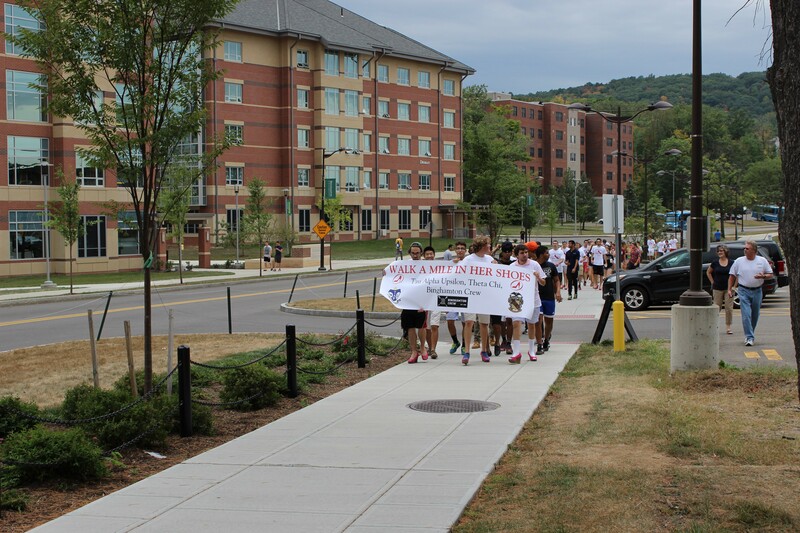 As fraternity men, we are showing the community that men's sexualized violence towards women is not okay and that it greatly needs to be made aware of. 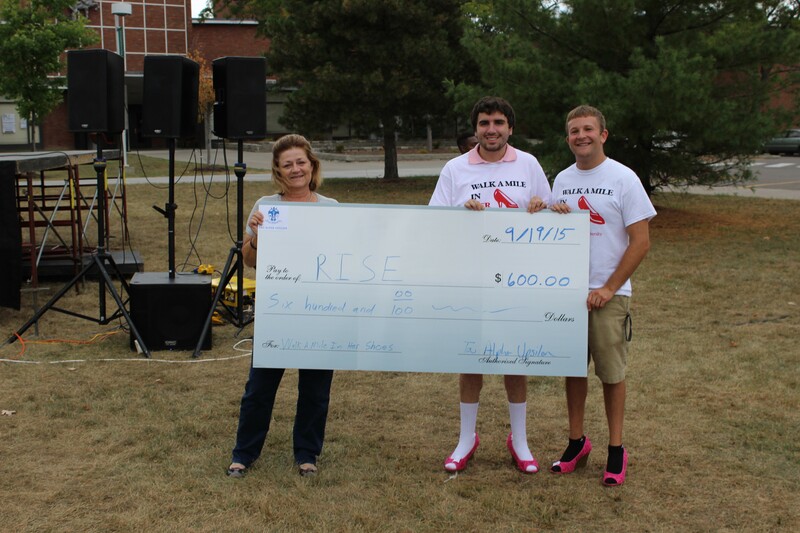 All proceeds from the event will benefit RISE, a local woman's shelter in Endicott, NY. 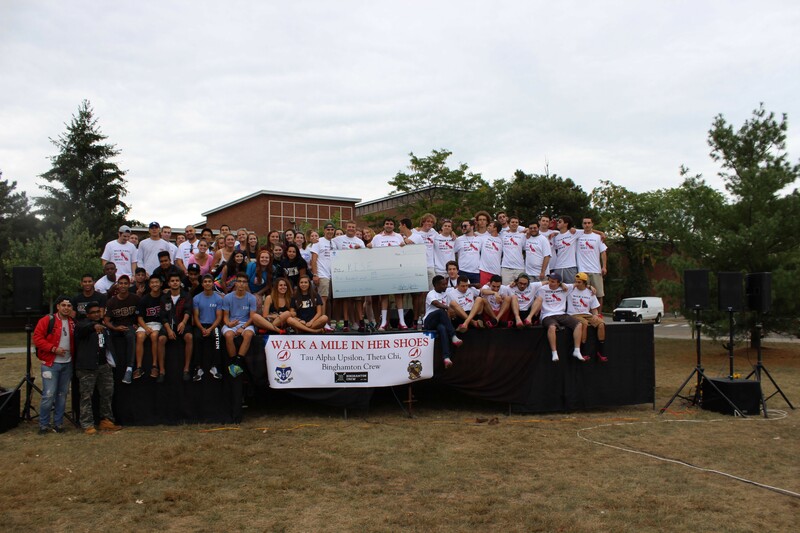 Last year we were able to raise approximately $600, so we are asking for your help in shattering this in dramatic fashion. 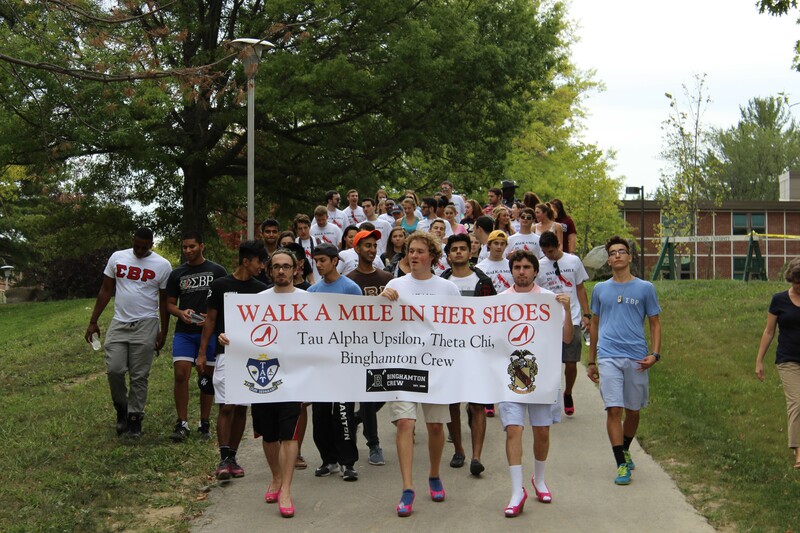 Great job TAU Brothers and other participants. Awesome cause. We are so proud of Cory and Jordan! 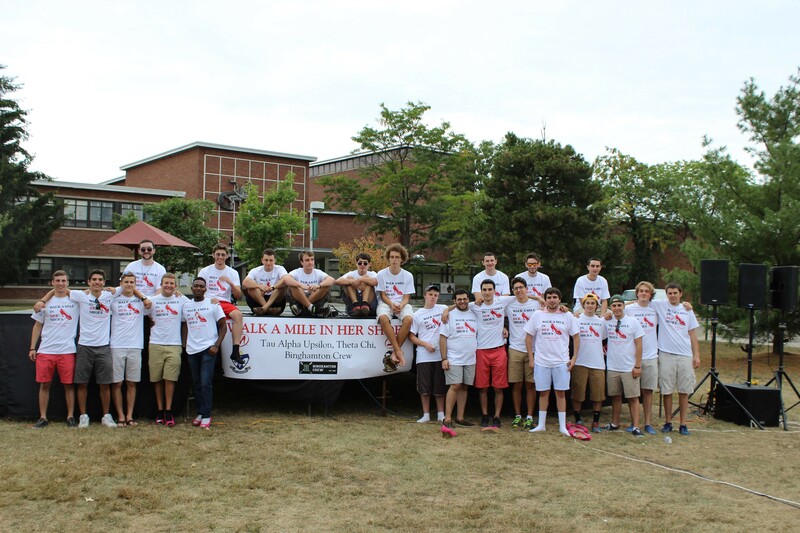 Great job supporting a great cause. 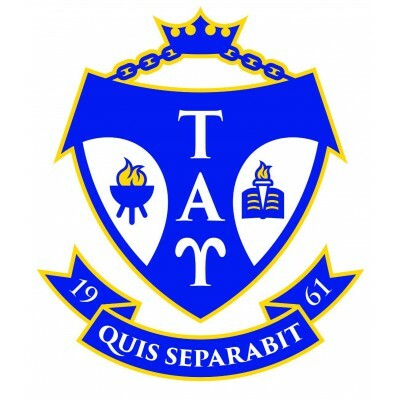 Good luck to all the Tau brothers! !